What its origin for csgo?? The only way to use valve hands is to edit the model ? Last edited by hadesownage; 01-06-2017 at 20:06. Maybe anyone can make a tutorial, how to convert cs 1.6/css player models. Hello, somebody can edit the bazooka model from 1.6 to csgo? Last edited by rogeraabbccdd; 03-11-2017 at 23:09. Hello, i'm searching someone that can port models from 1.6 to use it on zombie plague server. Thx for tutorial, but who i make model to show in game to right? no left..
$scale*also accepts negative values. 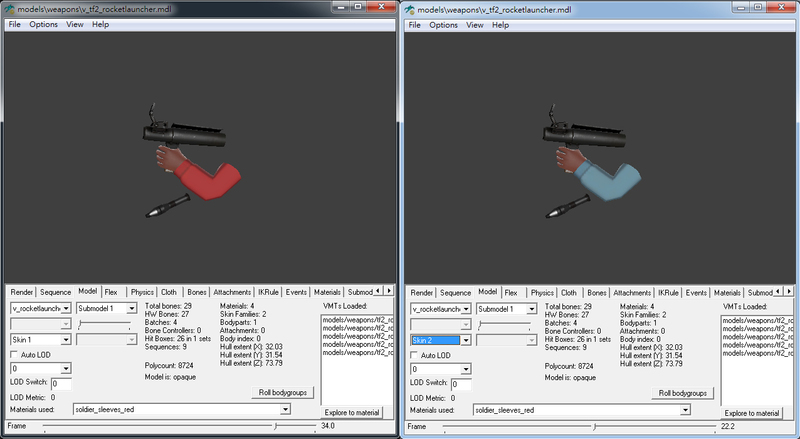 This can be used to flip/mirror animations or models if the compiled model is then decompiled. Note that the model's normals will be inverted and will be rotated 180 degrees backwards, this can be easily fixed in a Source engine compatible model editor. All times are GMT -4. The time now is 13:47.